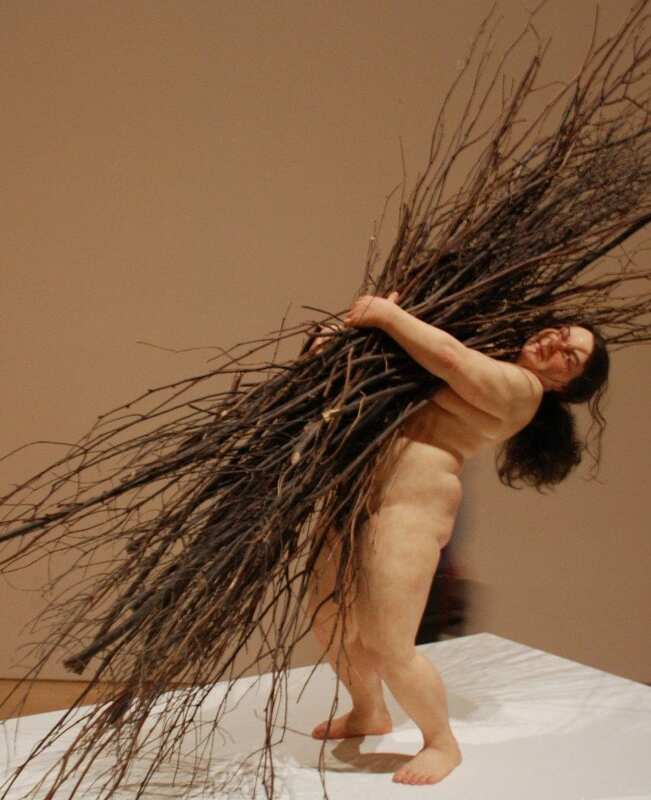 I LOVE Ron Mueck. I think he is amazing. I could look at his sculptures all day. Just so perfect. Slightly disturbing at times, but still perfect. 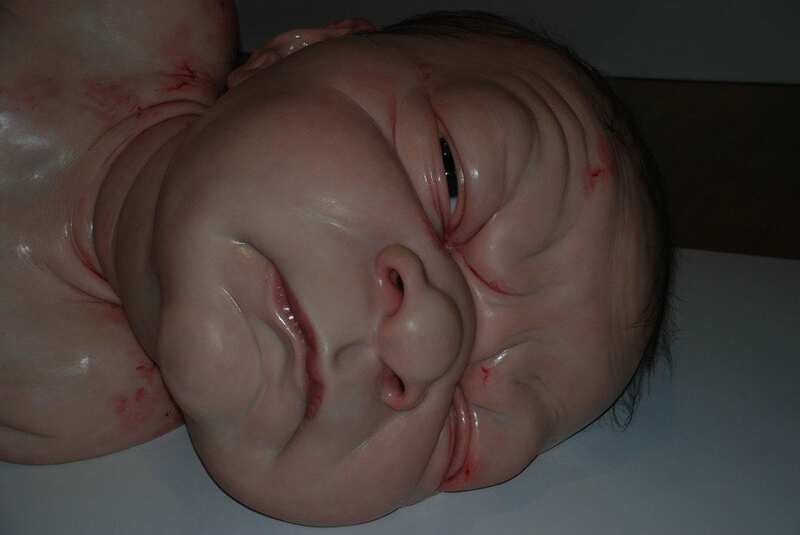 Each hair follicle, wrinkle, fold of skin just so realistic. The way he changes the scale of things. Making life size figures larger than life or smaller than life….and so to come to his home town and find an exhibition currently on of his work was brilliant. 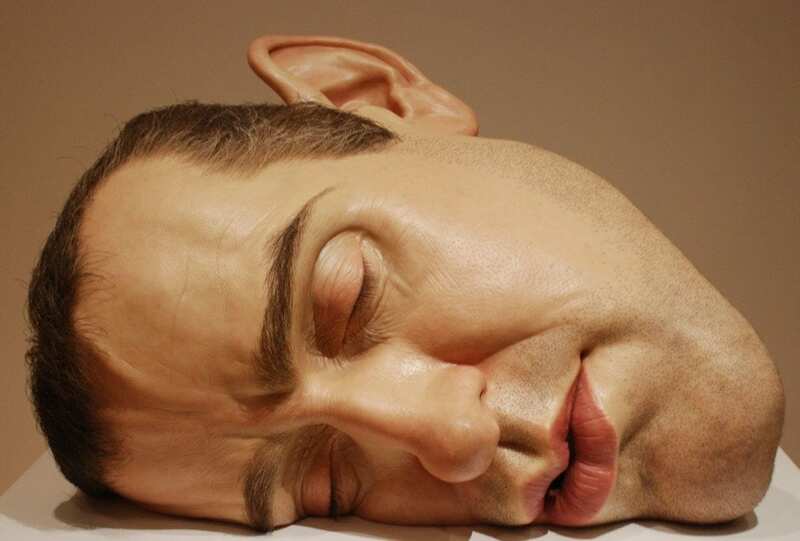 Take for example his poignant work of art “Dead Dad” which first brought him to the attention of the international artworld. A teeny weeny replica of his own father – about the size of an arm (102cm long). We peered at it today at his exhibition in The National Gallery of Victoria and my son said “was his dad really that small?”…. 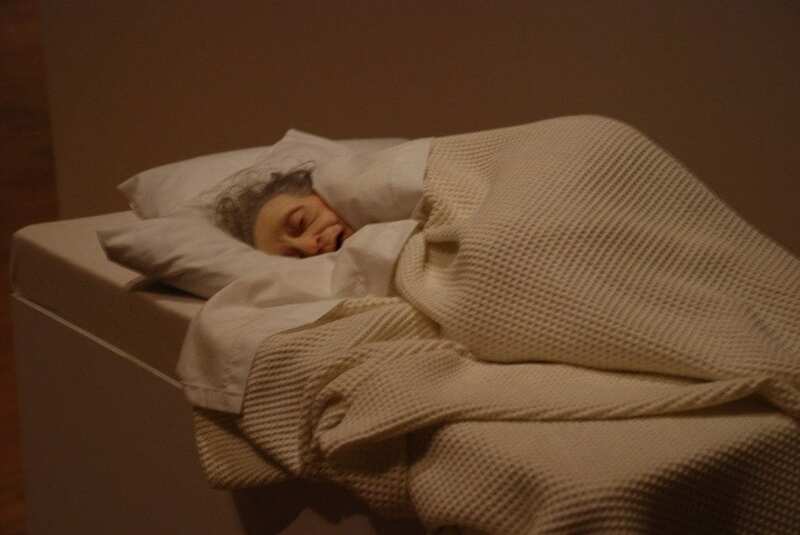 You must go and see a Ron Mueck exhibition – even if it means flying out to Melbourne before the 18th April 2010. 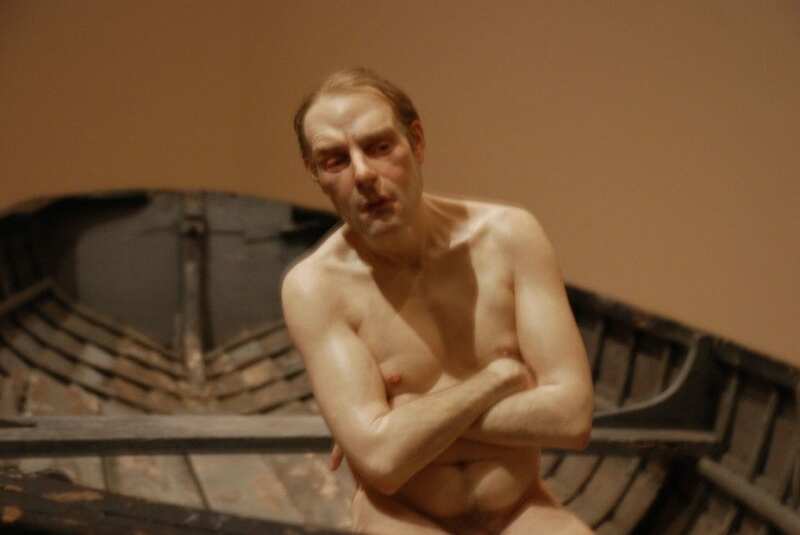 Never heard of Ron Mueck but these are amazing sculptures. They are amazing … but I find them rather creepy! I find those images disturbing, rather than interesting, but they do provoke thought. Very envious of your Oz trip. I spent a few years living there as a sprog, and my Dad is currently in Darwin, and about to move to Perth. If it makes you feel even better, it’s raining here. Hard. And it’s blooming cold. plz help me … give me any idea about what he is showing in his Mask 2 scalp?